The International Renewable Energy Agency (IRENA) held its ninth assembly from 11th to 13th January in Abu Dhabi. The gathering, which took place ahead of Abu Dhabi Sustainability Week, brought together government officials and representatives from the private sector to establish the global renewable energy agenda for 2019. IRENA’s recently published “New World” report served as base for these discussions. The latest findings predict that the transition to renewable energy will have significant geopolitical implications, providing energy independence to more countries and decentralising power within the sector. The agency’s director general, Adnan Amin, spoke to Euronews about the challenges and opportunities that the energy shift presents globally. However, IRENA’s chief predicts that it won’t be long before the US renews its permanent commitment to global climate change talks. “U-turns are always possible, as we've seen in politics, and I suspect that in the not too distant future the US will be back,” he said. Amin also believes that much is being done in the renewable sector in North America. IRENA’s “New World” report cites China as one of the countries which will wield most power within the shifting energy space. Amin explained that the key reason for this is the country’s realisation that today’s energy race is about technology, and not resources. “In 2017 they added 53 gigawatts of solar power to their system in one year. That's more than the entire installed capacity of solar in Europe,” stated Amin. Amin also said that the country is investing heavily in electric mobility, with a view to it becoming dominant in the future. Accounting for 75 percent of energy worldwide, Amin put forward the importance of the involvement of G-20 countries in the shift towards renewable energy. Specifically in Europe, the head of IRENA analysed the EU’s target of achieving a 32 percent renewables target in 2030 as “looking very positive”. 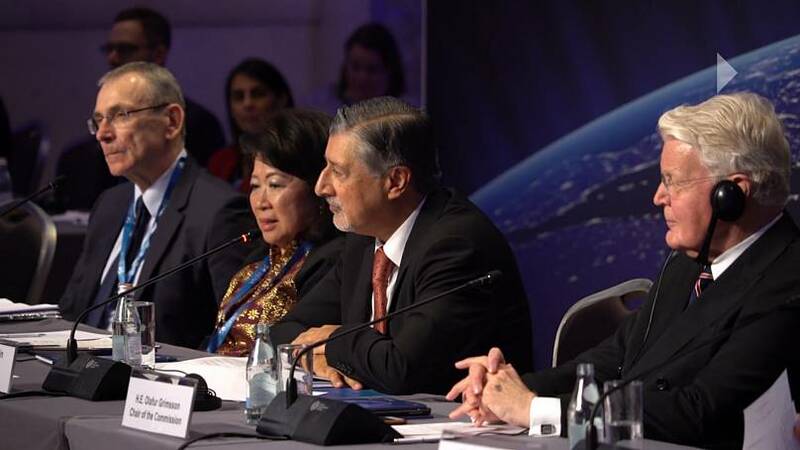 In the Middle East, Amin highlighted the United Arab Emirates - where IRENA is based - as a forward-thinking energy player. The outgoing director general also cited Saudi Arabia as having ambitious plans for clean energy, which were still to be proven. How is Abu Dhabi Sustainability Week encouraging young green entrepreneurs?